Our most popular tour! The Arenal Volcano is one of the most active volcanoes in the Americas. From our observation point, you will feel the ground tremble and see the night sky explode with ash and lava in a natural display of fireworks. 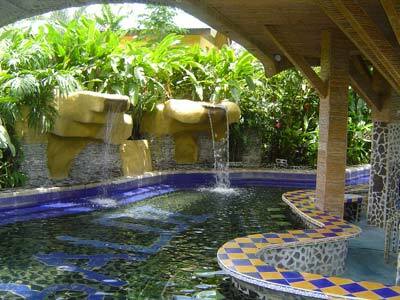 Next, we will visit the hot springs of the volcano, where you can relax in the soothing waters. Includes a visit to Sarchí town know as cradle of Costa Rican artisans because of its fine workshops. Includes: Transportation, tour guide, entrance, lunch, dinner. On a clear day you can actually see the Atlantic and Pacific Oceans! 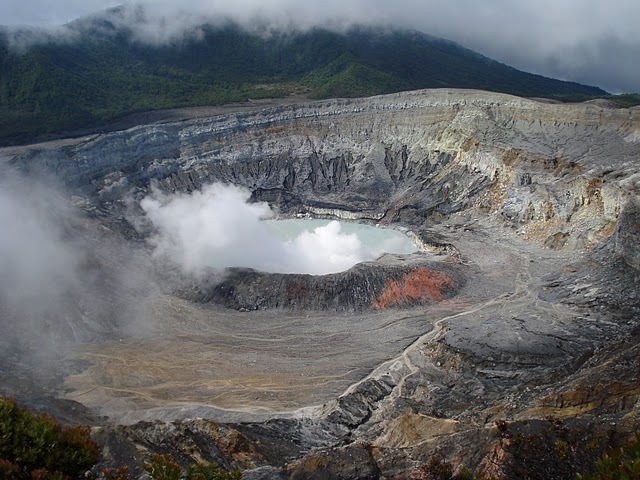 After an exciting tour at the volcano, we will descend to the historical city of Cartago. Here we will visit the beautiful Basilica of our "Virgen de los Angeles" with rich displays of carvings, statues and art. After we will drive to the Lankester Gardens, a tropical paradise featuring over 800 varieties of exotic orchids, various tropical flowers, and plant life. This tour continues with a ride through the unique beauty of the famous Orosi Valley and Reventazón River. Includes: Transportation, tour guide, entrances, lunch. Includes: Transportation, tour guide, entrances. 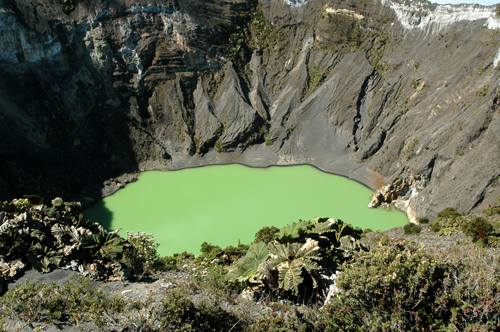 We will visit the Poás Volcano National Park, the second largest accessible volcanic crater in the world. Then , you will visit Doka Coffee plantation, where you will explore coffee plantations and learn about the coffee history. After that, you will be transferred to Grecia to observe the only metal church in Central America and the last stop is Sarchí, know as cradle of Costa Rican artisans because of its fine workshops. Includes: transportation, tour guide, entrance, lunch. The first stop is breakfast at a Doka Coffee Plantation, where you will be able to enjoy an authentic Costa Rican style breakfast. We will then take you to a third-generation coffee plantation and show you how coffee is picked, milled, ground, and roasted. Then we will continue to Poás Volcano. 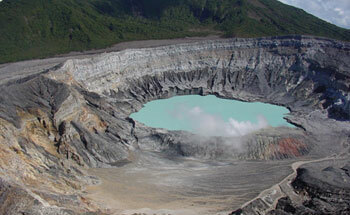 This volcano is one of the actives volcanoes in Costa Rica. The crystal blue sulfur pools will amaze you along with the steam rising from the various volcanic vents.The last stop is La Paz Waterfall Gardens. 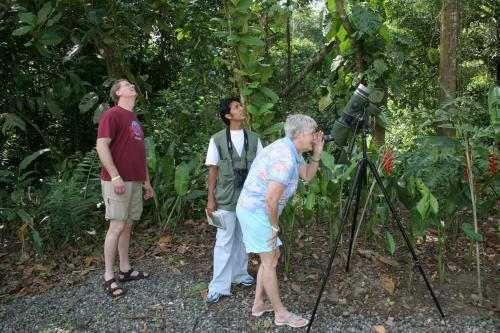 Your tour guide will take you through the butterfly observatory, the hummingbird garden and the waterfall trails. After your hike you will enjoy a buffet lunch in the restaurant with view to the waterfalls. Includes: Transportation, breakfast, tour guide, entrances, lunch. We invite you to join us on a trip of pure exploration, excitement, and discovery. 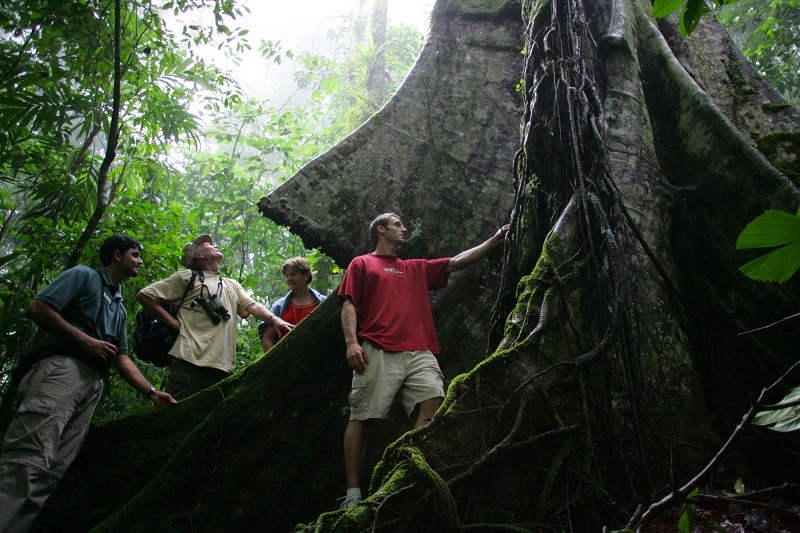 This journey is to the most complex eco-system that exists, the Tropical Rainforest. 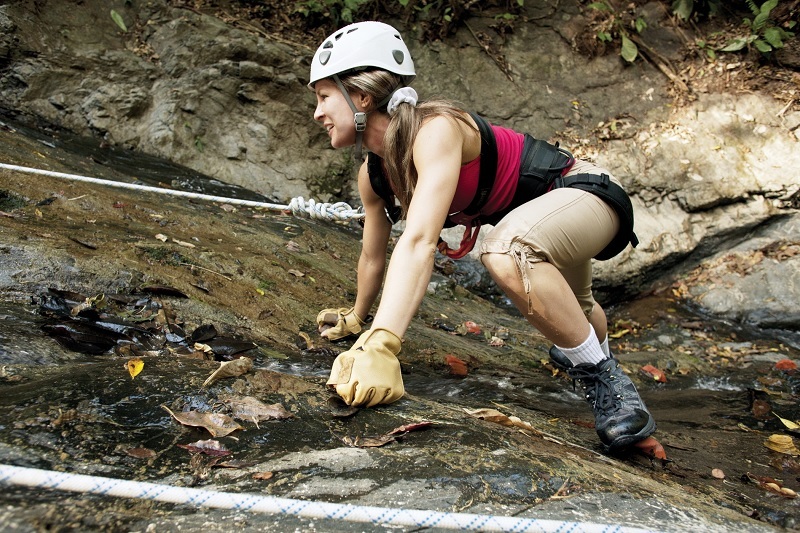 The Pacuare River is world famous for its sheer beauty. A true river gorge, it is flanked by steep and green walls. 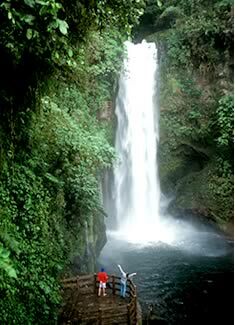 Includes: Transportation, breakfast, tour guide, rafting equipment, lunch. 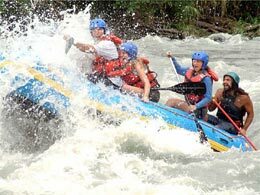 Experience the adventure in a quiet rafting special for beginners in Reventazón . These rapids are moderate class II-III. Thus, it is the perfect adventure for families with children. Enjoy the magical experience in the aerial tram through the rain forest of the Braulio Carrillo National Park, learn about the different species of flora and fauna and walk to the trails. Set into the placid cloud forests of Costa Rica's Central Valley region, the San Luis canopy tour will take you on an exhilarating and safe adventure through lush, green canopy and across the majestic Rio Cataratitas. Carried securely by a system of zip lines, you will soar weightlessly through the expanse of virgin forest that grounds the tour, and find yourself in intimacy with the habitats of Costa Rica's distinct cloud forest wildlife. 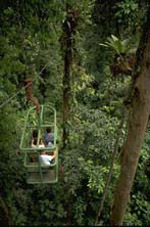 The San Luis canopy tour also presents the "Elevator," a thrilling feature that securely lifts visitors high above the forest canopy, granting a paramount view of the surrounding area.Though customer enjoyment is a central objective, San Luis canopy tour designates safety above all as a keystone principle: all personnel and facilities under their name carry up-to-date certification from the Costa Rica Institute of Tourism. San Luis canopy tour takes pride in their credentials and by them guarantees with confidence that this tour is among the most professional, informative, and enjoyable in Costa Rica. 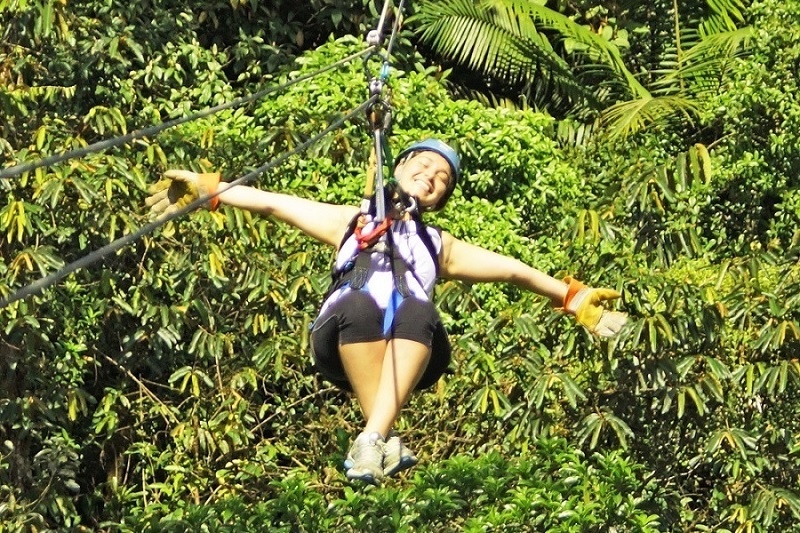 Canopy with 12 different zip lines and 18 platforms, Tarzan swing trails and fly like superman. 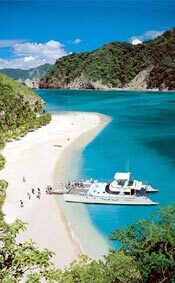 Includes: Transportation, breakfast, tour guide, drinks, fruits, lunch. 11.- An enchanting coffee experience. Imagine following the journey of a coffee bean in the plantation, from the plant to a cup of gourmet coffee. You will observe and participate in the traditions and history of coffee. Experience at first-hand how the pros distinguish a fine coffee by taste and smell. 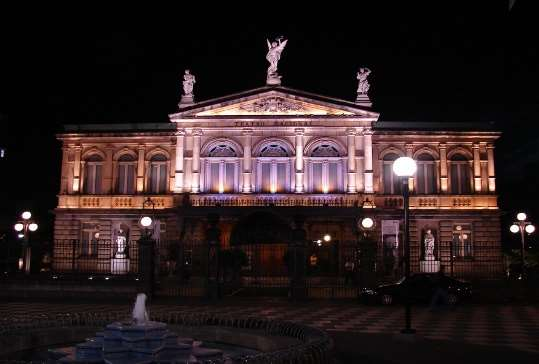 Be part of the history of Costa Rica and enjoy the main attractions of the city. Includes: Transportation, tour guide, entrance to Oro Museum and National Theater, snaks and coffee. Once we reach our destination we´ll take a jungle boat tour that goes along the Tarcoles River. 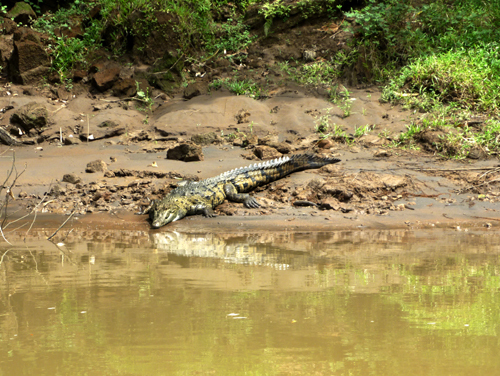 Our guide will introduce you to the world of crocodiles and exotic birds. 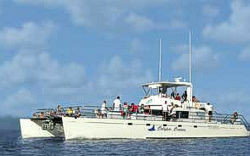 Later we´ll arrive at one of the most beautiful protected areas around, Punta Leona Beach Resort. This exotic paradise is surrounded by 750 acres of lush tropical rainforest, pristine white sand beaches and the blue water of the Pacific Ocean. Includes: Transportation, tour guide, breakfast, entrances, lunch. Includes: Transportation, tour guide, breakfast, entrance, lunch. We will drive you through the unforgettable rain forest of Braulio Carrillo National Park, one of the most important rainforest reserves for Costa Rica. Then we will take you on a relaxing boat ride on the Sarapiqui River, just sit back and observe the wildlife that is around you. After this experience you will walk into Selva Verde’s eco lodge private trails which is heaven for nature enthusiasts, hikers, bird and wildlife watchers. After a delicious lunch you will continue to the famous Rainforest Aerial Tram, a sanctuary which shelters an eco-touristic and research park like anyone in the world. Experience the rain forest as a bird could. 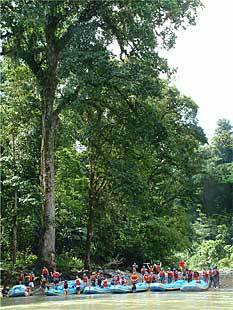 Observe the most complete ecosystem on Earth – the rain forest canopy. The Rain Forest Aerial Tram – Atlantic is a 475-hectares (1,200-acre) private reserve, it shares a 10 km border with Braulio Carrillo National Park and constitutes a buffer zone between the park and farming lands. 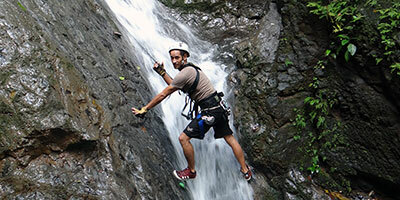 Offers you the most complete eco-adventure package of the country. This “6 in 1” one day tour includes the attractive products in the country in one single day to assure you an incredible and unforgettable natural and adrenaline filled experience. Enjoy alongside your family and friends the spectacular Atlantic rainforest private reserve within the confines of the Braulio Carrillo National Park, by doing different enjoyable activities like: aerial tram, zip-lining, adrena-line, butterfly garden, terrariums, a naturalistic guided walk and a visit to our hanging bridge. 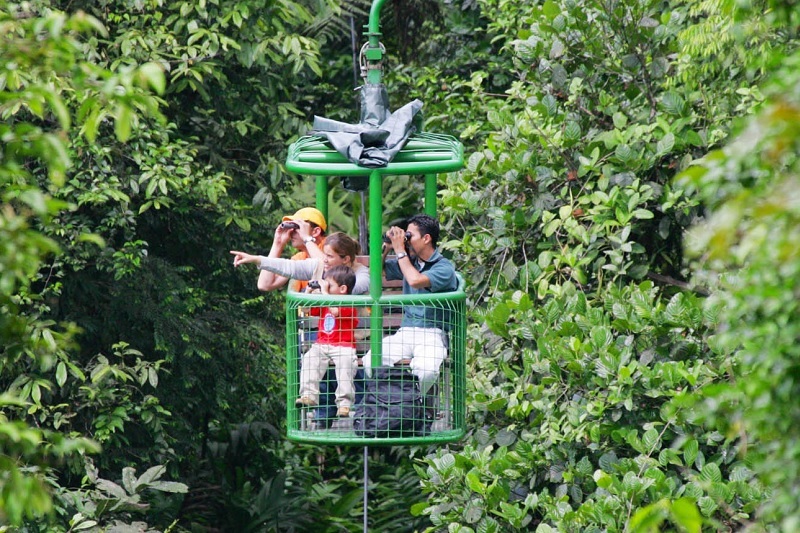 Start this rich experience with a true flight over the treetops in our unique aerial tram while an expert naturalist guide describes hidden treasures of the forest. Then you’ll live real emotion with our zip line tour with 14 platforms and 10 cables, which include the thrill of the Adrena-line cable, reaching speeds of up to 55km/hr and gliding over a 700 meters long cable…enough time to scream, laugh, cry and enjoy a breathtaking scenery of the National Park. Back on the ground you will calm your adrenaline during a relaxed guided walk through our nature trails with a visit over Molinete river’s hanging bridge and a fun and educational stop to our very own butterfly & orchids gardens and terrariums where you can be amazed and learn about different species of the region. 17. Irazú Volcano and Thermals Hacienda Orosi. We take the South Panamerican Highway, to start ascending the large “ Irazu “. The winding road travels through fertile lands cultivated with all kinds of vegetables as we observe a lovely panoramic. 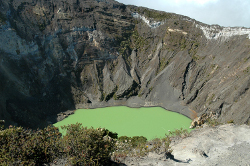 On the top of the volcano you can observe the main craters and on a clear day Pacific Oceans and Caribbean Sea. As we descend to the city of Cartago we will stop at the Virgin of the Angels Basilica thar according to religious custom is a peregrination site for many believers. These rich springs of mineral hypothermal “telluric” waters (non-magmatic or volcanic ), are filtered between the layers of the earth and spring in the middle of the rainforest at more than 65 degrees Celsius. The minerals, salts and ions that compose this water enrich the skin tissues, stimulate the senses. Hacienda Orosi is a mystical land where the positive energy is perceived as you walk, tranquility as you breathe and peace as you enjoy of this place. Recomendations: Bring hat, jacket, comfortable shoes, swimsuit, insect repellent, binoculars, camera. Includes: Transportation, tour guide, lunch, entrances. Located in San Antonio de Escazú, Mirador Tiquicia is a magical and unforgettable place. This is where the Tica Night show is performed. The best and impressive view of the Central Valley can be enjoyed from here. 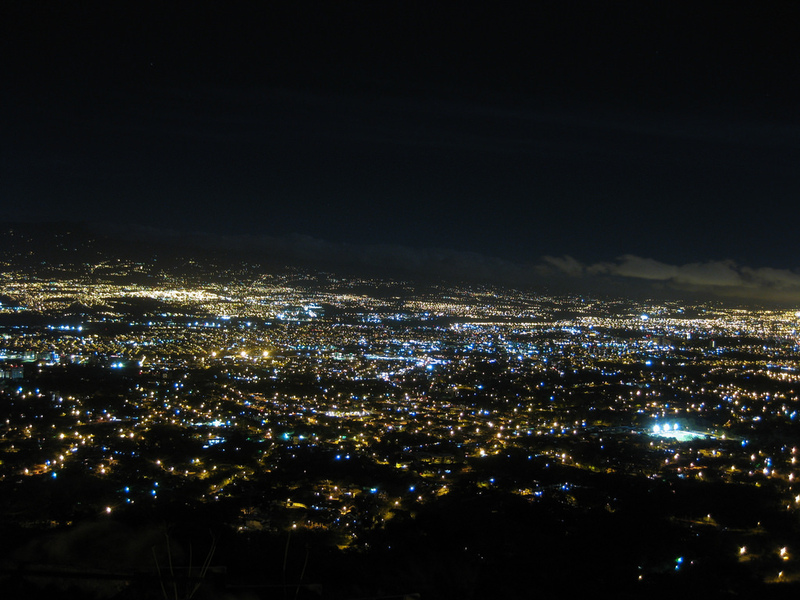 This Night Tour takes you to discover ESCAZU -the Capital’s upscale suburb. On route a winding paved mountain country road with awesome “vistas” brings you to Tiquicia. 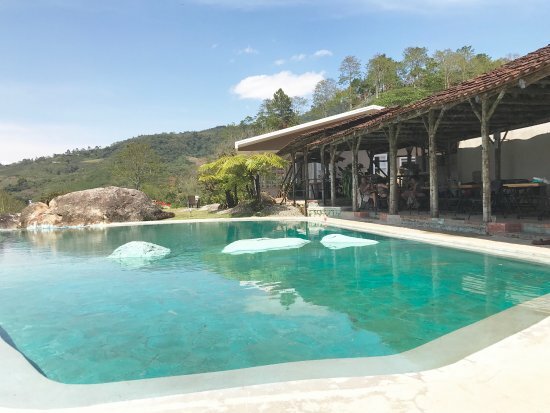 Here a traditional farmhouse with 150 year old tiles awaits to offer you a genuine Costa Rican ambiance where you will be able to sample local food together with national drinks served in the kitchen area. 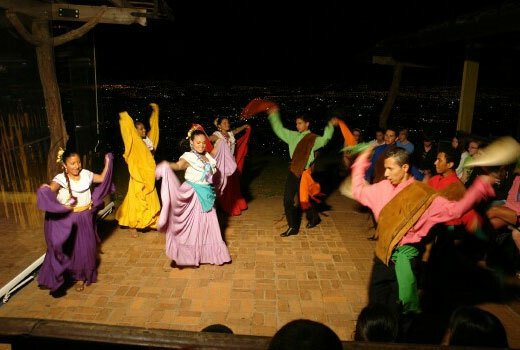 A typical dance presentation takes place during your stay while you enjoy amazing views of the entire Central Valley. Includes: Transportation, entrances, dinner, open bar (National Beverages), Show (noche tica). 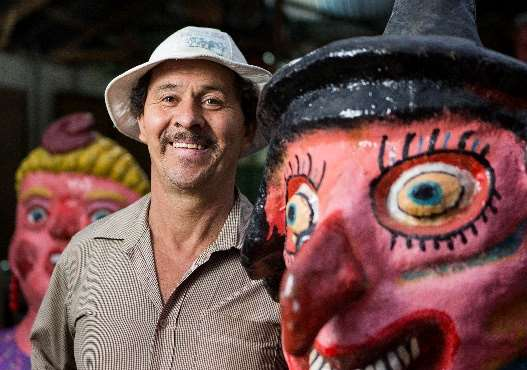 Unmask the beauty of contemporary Costa Rican life on this walking tour of San Jose and Escazu. Get hooked up with some of Costa Rica's local legends, freshest food (make your own tortillas anyone?) 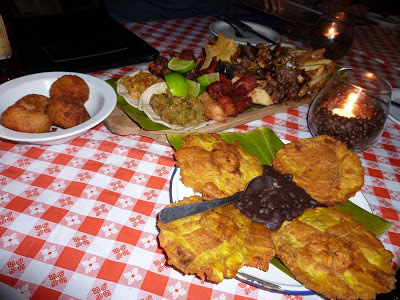 and rustic restaurants on this San Jose tour that has you walking in holy footsteps and riding public transport for the ultimate insider’s experience! Discover a tale of two cities, exploring the real Costa Rica in San Jose and Escazu, the “City of Witches”. Walk the spiritual route of churches and learn the rich local history of Catholicism. Includes: Local Guide, traditional lunch, transportation, masquerade show, Chicha drink, a cup of organic coffee and an ice cream snack. There’s also a ton of culture and history, a tasty local dinner, and the chance to experience San Jose’s nightlife with a local. Best. Night. Ever. Get up close and personal with the nightlife in San Jose, starting with the Central Market, which, in our opinion, is the only way to learn about the city’s food (aside from eating it, which we’ll get to!). 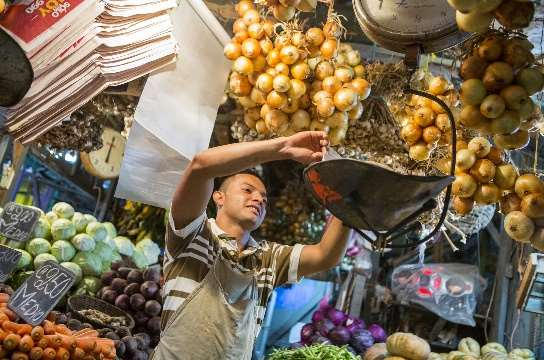 Stroll the market with your local guide and get to know the secrets and uses of the roots, herbs, and fruit common in local cuisines, including ingredients that will play a role in your authentic Costa Rican dinner later. The locals say that you can get anything you need at the Central Market, even love potions for attracting a boyfriend or girlfriend...wink. Includes: Transportation, local English speaking guide, wine, and dinner. Start this great trip by flying over the treetops in the aerial tram tour while you learn all about the nature that surrounds you, then soar above the clouds and fly over the treetops and immerse yourself in nature and it’s surroundings experiencing first hand why Costa Rica is the best Adventure and Eco-tourism destination in the world. With 10 cables, 15 platforms and amazing ocean views, trekking inside a jungle through natural trails until you reach our 50mts waterfall; defy yourself as you climb the rock, then fly over it all on a canopy zip line and finally fight against the vertigo in the new hanging sky bridge. At last, you´ll learn more secrets of the forest than you ever had with our certified naturalist guides accompanying you every step of the way.